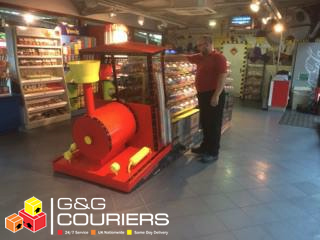 G&G Couriers specialise in large parcel delivery in the UK. Our team has years of experience working with a wide range of different industries and clients – all meeting the tightest of deadlines. Services we currently undertake and offer but not limited to are urgent same day deliveries to anywhere in the UK, multi drop deliveries, exhibition deliveries and next day deliveries. This is all possible due to our van fleet varying from a Mercedes Citan to a Mercedes Sprinter. So if you want a large parcel delivery UK then get in touch with our team today by filling out our contact form.